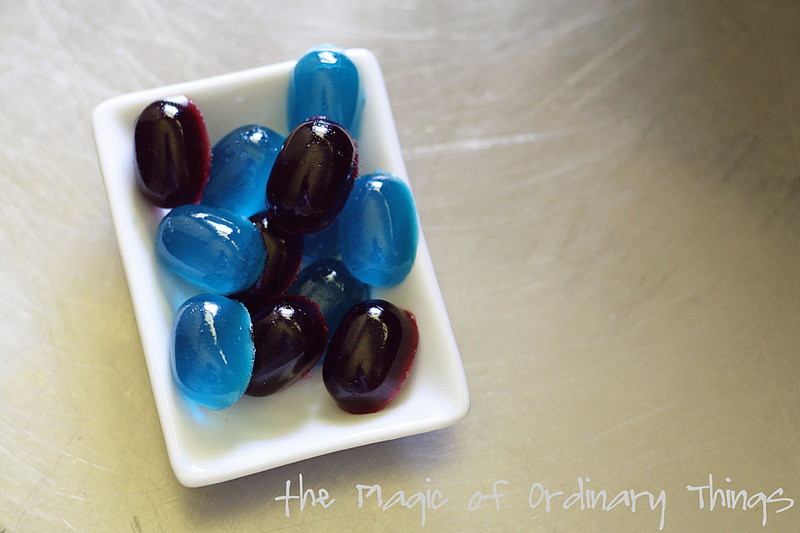 I found this recipe a LOOOOONGGG time ago over at Six Sisters Stuff, and knew that someday I would try to make these for my boys, who LOOOOOOVE Gummy Snacks. After getting lucky, a few months ago, at my son's pre-school's yard sale, and finding a Mold tray for just One Penny, I knew I was one step closer to getting these made. Then this morning, during a routine trip to Walmart, I finally got the supplies - today would be the day!! The supplies you need are some flavored gelatin and some unflavored gelatin. 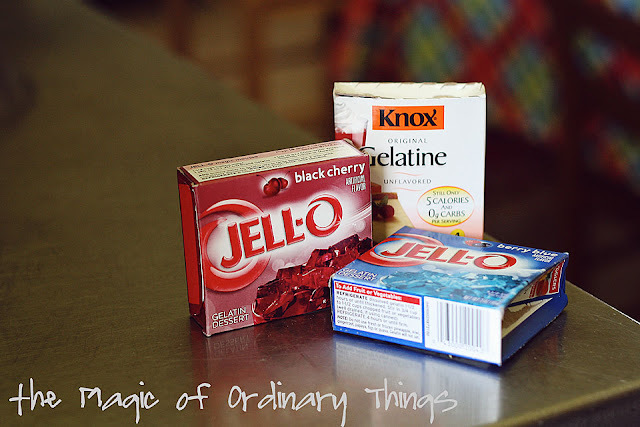 At Walmart, the Knox was $1.48 for (4)/.25oz packets, and the Jell-O was $.74 for a 3oz. box. So all told, because I got two flavors - I spent just under $3.00. Sprinkle all the gelatin over the water in a small saucepan. Heat over medium heat and stir until all powder is completely dissolved. Let sit for at least 20 minutes. hour - by that time, they were the Perfect Gummy texture. This is the Mold tray that I scored at the yard sale. From the original blog, she said that they can be found at Walmart and craft stores. 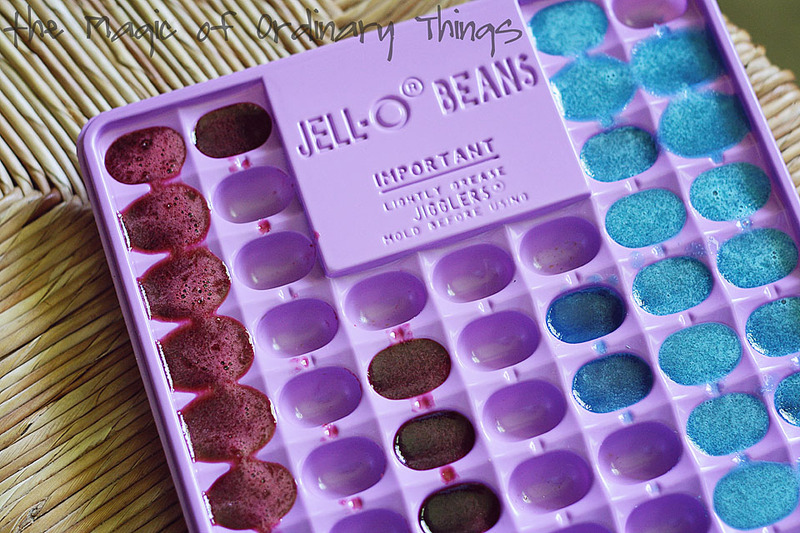 I don't know if they're Jell-O brand, but anything with a small shaped mold would work. a savings or not, but they sure were easy to make. 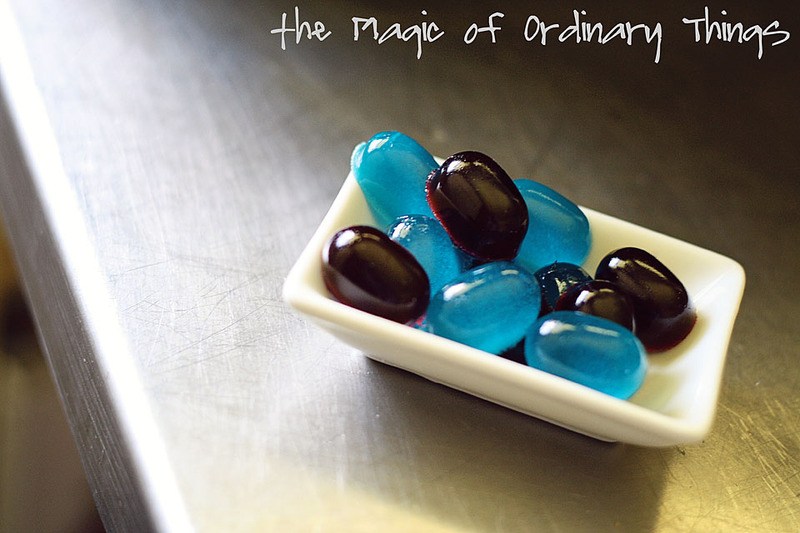 I'm sure we will be making a lot of these, in all different flavors, this summer. 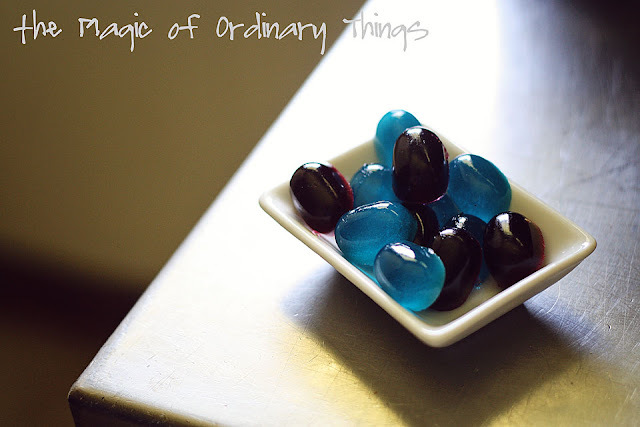 I've just discovered your blog... and I'm alread in love with it!!! A huge congratulations and tons of thanks from a Spanish teacher!! !